Jerry Seinfeld is suing a classic car restoration shop that apparently sold him a fake classic Porsche. 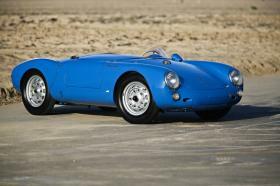 The comedian later sold the car at auction for $1.5 million, but the new owner says the Porsche is an elaborate phony. View They're Real, and They're Spectacular: All 18 Seinfeld Porsches, VWs Heading to Auction Photos from Car and Driver. Find high-resolution car images in our photo-gallery archive.